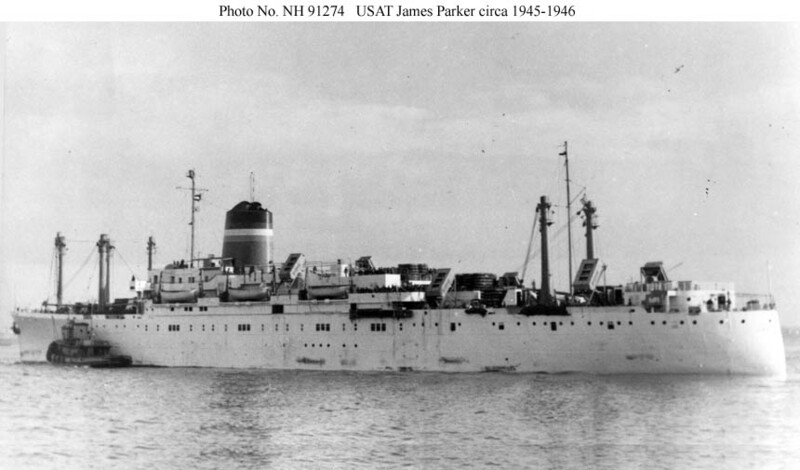 Laid down, date unknown, as SS Panama for the Panama Railroad Co. at Bethlehem Steel Shipbuilding, Quincy, MA. 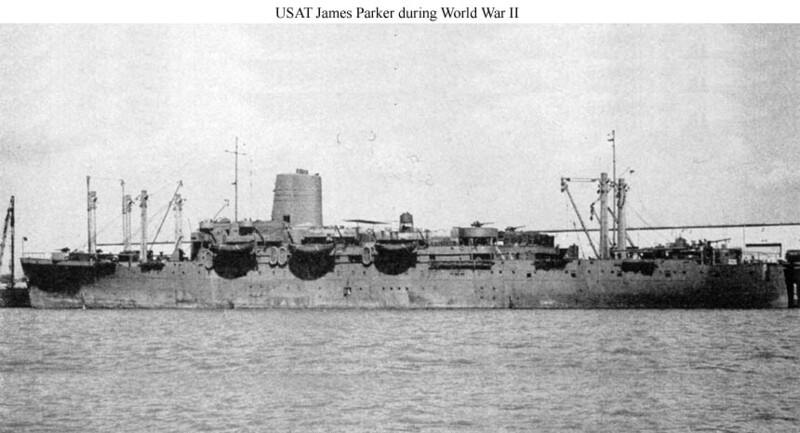 three turbo-drive 350Kw 120V/240V D.C.
one Diesel-drive 100Kw 450V A.C.
82k USAT James Parker moored in late 1945 or in 1946. The absence of guns and the colors on the stack indicate this is a postwar photo.